Emma Curtis Hopkins was an American spiritual author and leader. She was also involved in the orgination of the New Thought movement. Hopkins was a primary theologian, teacher, writer, feminist, mystic and prophet who ordained hundreds of people, including women, at what she named (with no tie to Christian Science) the Christian Science Theological Seminary of Chicago. Emma Curtis Hopkins was called the "teacher of teachers", because a number of her students went on to found their own churches or to become prominent in the New Thought Movement. Emma Curtis Hopkins was born Josephine Emma Curtis, in Killingly, Connecticut. Her parents were Rufus Curtis and Lydia Phillips Curtis. Emma was the oldest of nine children and was raised on a farm. Emma was also an excellent student. Before the age of fifteen she entered Woodstock Academy and because of her genius, she was given a place on the faulty as a teacher. She grew up reading books, even learning Greek as a child and studying ancient writings in their original language. In 1874, Emma married George Irving Hopkins. Their son, John Carver was born in 1875, and died in 1905 at the age of 30. Emma Curtis Hopkins was initially a student of the Christian Science of Mary Baker Eddy, who claimed to have found in the Christian Bible a science behind the alleged healing miracles of Jesus which could be practiced by anyone. Hopkins would later leave Christian Science in order to develop her own more eclectic form of metaphysical idealism. Hopkins material was later labeled as New Thought, and contained certain mystical traits of Gnosticism, although Hopkins also made affinities with Theosophy and a wide varety of the Eastern Teachings. Differing Christian Science's way of speaking of God as both Mother and Father, Hopkins conceptualized the Trinity as three aspects of divinity, with each playing a role in different historicl epochs: God the Father, God the Son, and God the Mother-Spirit or Holy Comforter. Similar to Eddy, Hopkins also believed that spiritual healing was the Second Coming of Christ into the world, and this was the hallmark of much of her early work. Hopkins also believed that the changing roles of women at the times were an indication of their Divinity being realized, and signaling a new epoch identifying with the Mother, or feminine-like aspect of God. 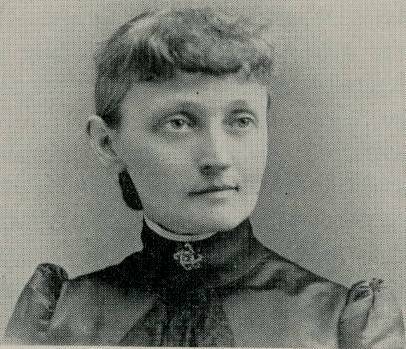 The New Thought movement usually credits Phineas P. Quimby, who died in 1866, as the central founder, but New Thought did not formally organize itself until Emma Curti Hopkins brought together and focused the national movement in 1886-88, with the base in Chicago. Her first work, Class Lesson 1888, ignited flash points for organized New Thought. Emma was a charasmatic woman and well acclaimed for her gift in writing and speaking in her personal lectures. Just as Quimby is considered the 'Father of New Thought', Emma Curtis Hopkins is often referred to as the 'Mother of New Thought'. Many of the great New Thought authors of the time had studied with Emma Curtis Hopkins, including: Charles and Myrtle Filmore, founders of Unity; Ernest Holmes, founder of Religious Science; Melinda Cramer and Nona L. Brooks, founders of Divine Science; and Harriet Emilie Cady, author of Unity's cornerstone text, Lessons in Truth. Other students included Annie Rix Militz, Frances Lord, George Edwin, and Elizabeth Town. Hopkins earlist record in Christian Science appears to be her role in the expulsion of Clara Chate for promiscuity around 1884. Hopkins would also later become the acting editor of the Christian Science Journal. A little over a year later, Hopkins would be relieved of the psot for an editorial syncretizing too wide an Asian influence for Eddy's identification with Christianity. Years later, Emma Curtis Hopkins would influence the ambitions of Christian Science dissident, Mary Plunkett. Hopkins and Plunkett went into business together and developed the term Christian Science for both their magazine's and institute's names. The term was beginning to come into its early great success with Mary Barker Eddy. Hopkins and Plunkett believed the term appropriately described their own work and used despite their breach with the term's original founder, Mrs. Eddy. Plunkett requested Eddy for a division of Eddy's Christian Science movement, with Eddy to yield everything west of the Mississippi, and took offense at Eddy's rebuff. Hopkins and Plunkett would in time take other disaffected students of Eddy, such as Ursula Gestefeld, who were dissatisfied with either the teaching or Eddy's promotional schemes. Emma Curtis Hopkins also went on to teach the Fillmores, and after a time she would finally drop the use of the term Christian Science (which the Fillmores would also use, then subsequently drop). Plunkett, however, tried to visibly borrow from her own past ties to Eddy for the purpose of building a following in New York City. She fell into public disgrace after aspects of her personal life were made into a public scandal. Plunkett later moved to Australia, where she committed suicide. Emma Curtis Hopkins went on to found the Emma Hopkins College of Metaphysical Science, which focused on training women to be spiritual leaders. Hopkins believed that mankind was supposed to live through three spiritual ages that corresponded with the Holy Trinity. God the Father represented the Patriarchies of the past; God the Son represented Jesus Christ and the freeing of human thought; and the present age of God the Holy Spirit would place more women in leadership roles. Of all the emerging spiritual and religious movements of the time, New Thought, as well as Christian Science, had the unique position of having women play an integral role in leadership positions. Emma Curtis Hopkins ideas about spiritual healing and the soul's relationship with God have been adopted by some mainstream religious movements including the International Order of St. Kuke the Phsician which was founded by an Episopal prist. She also wrote many books on New Thought and Metaphysical topics. Her last known student was Ernest Holmes. Hopkins died at her home in connecticut in 1925. After her death, her sister Estelle Curtis Carpenter, and Eleanor Mel continued her work.